University Games Murder Mystery Party : Pepi Roni served up a mean plate of pasta until someone did him in. Now there's big trouble in Little Italy. Comes with a complete party planner, invitations, costume and menu suggestions, clues and more! 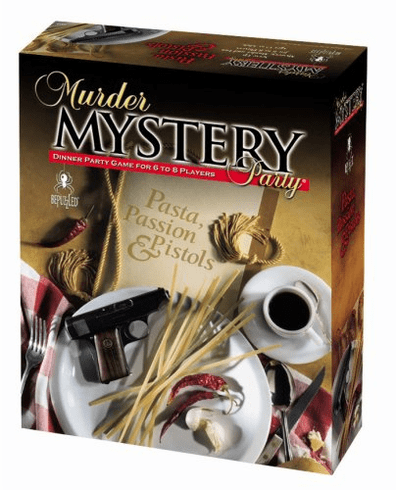 Mystery dinner party game for 6 to 8 players.